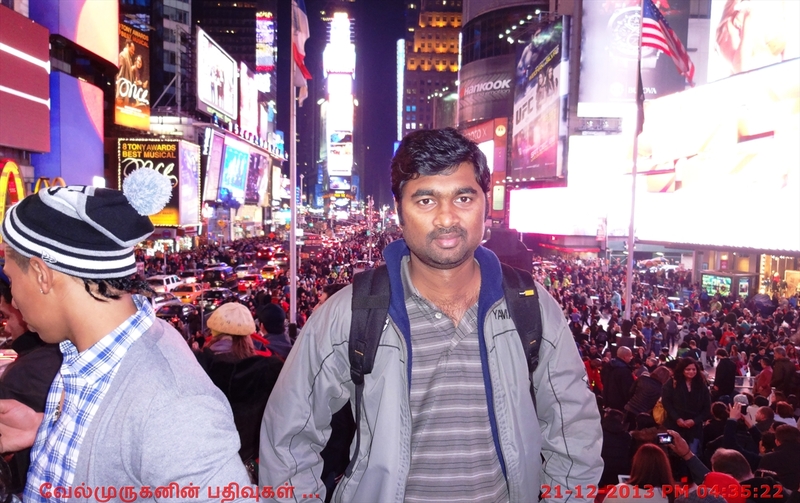 Times Square is a major commercial intersection in Midtown Manhattan, New York City, at the junction of Broadway and Seventh Avenue and stretching from West 42nd to West 47th Streets. Times Square boasts one of the world’s most concentrated theater districts and certainly its most renowned, as Broadway continues to lure today’s top stars to its productions. 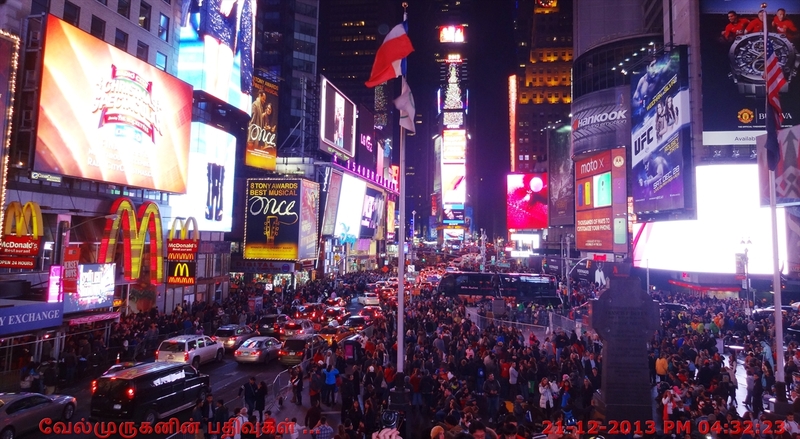 Times Square also hosts several notable venues for concerts and comedy. Take in a rock show at the Roseland Ballroom or Best Buy Theater. Listen to jazz at the Iridium. Or see New York’s top comics hone their acts at Carolines on Broadway. Madame Tussauds, Ripley’s Believe It or Not, and the Discovery Times Square Exhibition all offer innovative museum experiences for the whole family. Old name is Longacre Square, it was renamed in April 1904 after the New York Times head quarters moved. Nicknames include The Crossroads of the World, The Center of the Universe, and The Great White Way. 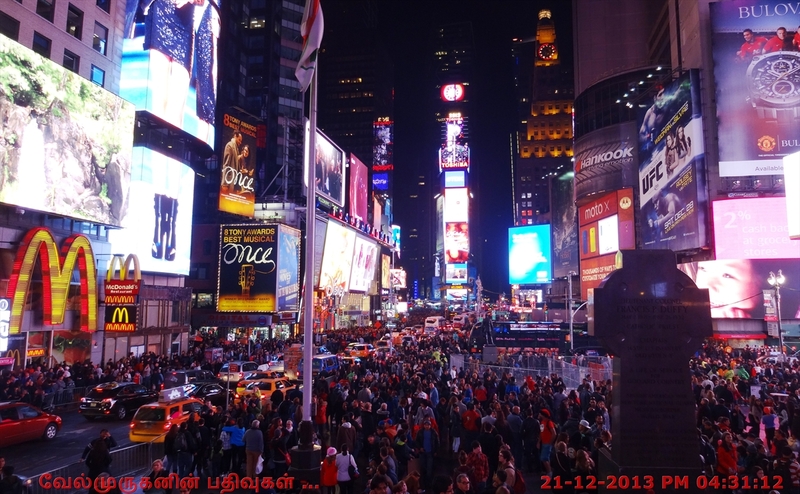 On New Year's Eve, close to a million people congregate to celebrate the Ball Drop event (Dropping of the Ball). 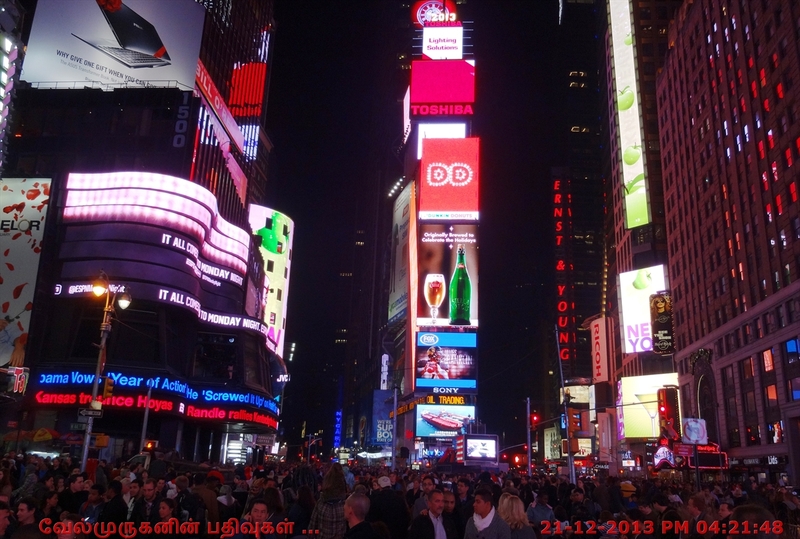 Times Square is the world's most visited tourist attraction, hosting over 39 million visitors annually. 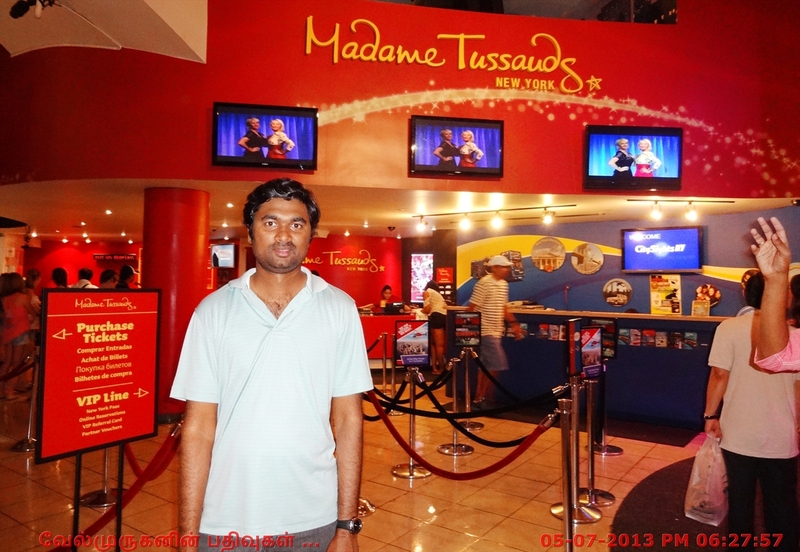 Madame Tussauds is launched in October 2000 in Times Square, displays a collection of more than 200 painstakingly created wax figures of celebrities, historical leaders and cultural icons. The popular tourist attraction also houses an interactive exhibit on sports and movie experiences that engage all of the viewers' senses. 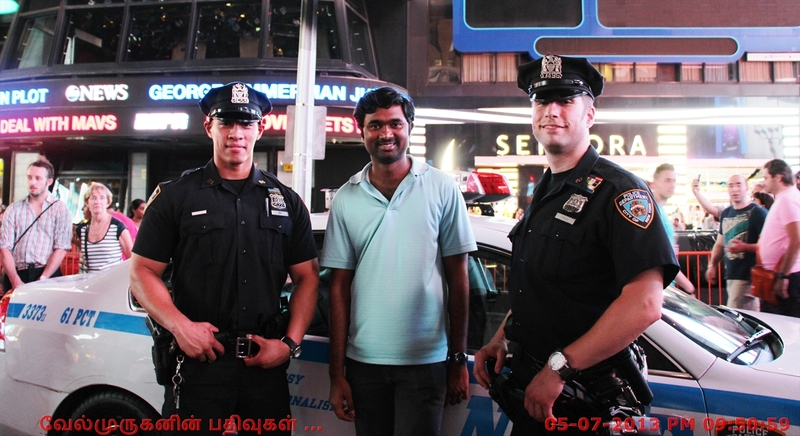 The museum encourages visitors to snap photos of themselves with their favorite celebrities.